Big data startup Infochimps has been acquired by professional services giant CSC. 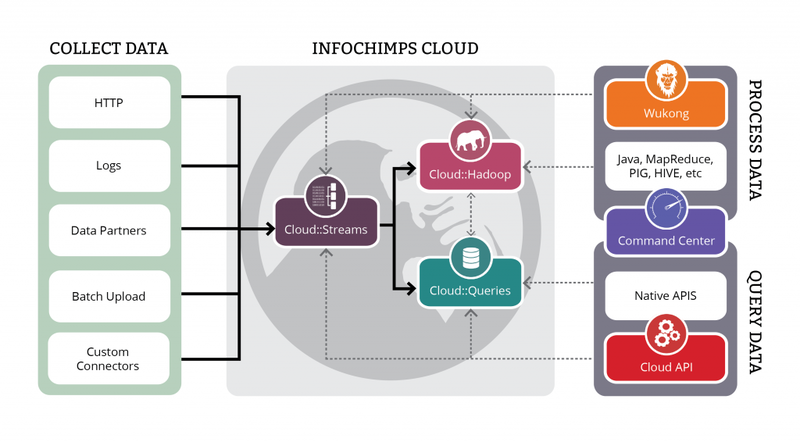 Infochimps began life as a data marketplace in 2009, but when that plan didn’t work out the Austin, Texas-based company pivoted — wisely — into selling as a cloud service the big-data infrastructure tools it had built to run the marketplace. The acquisition (especially the buyer) was surprising, but not too shocking. I like the team at Infochimps and have always wished them the best of luck. That being said, although I don’t know how much CSC paid for the company, I assume it was a modest sum. (Infochimps CEO Jim Kaskade told me that shareholders were quite happy with the price). Infochimps had raised about $2.6 million in venture capital and was actively seeking another round. Its most-recent funding came via two rounds of debt financing (the second in June) totaling approximately $2.5 million. Whatever the purchase price, it’s probably a good deal for both companies. CSC gets some next-generation big data technology and knowledge that its customer base likely desires. As CSC aims to ramp up its cloud business, the fact that Infochimps is designed to run on public clouds and has been deployed on some private clouds at big companies should also come in handy. Infochimps, which was already operating under a professional services business model, gets access to CSC’s customers and the wherewithal to actually service their demanding needs and develop the product with their requirements in mind. Further, according to Kaskade’s blog post announcing the deal on Tuesday, it sounds like the Infochimps team will remain in tact and operate as a subsidiary of CSC. Kind of like the deal Heroku got when Salesforce.com bought the Platform-as-a-Service startup in 2010. But most startups are built with the goal of making it on their own, or at least getting bought for some ridiculous amount of money. Unfortunately for enterprise IT startups, they’ve picked a difficult space in which to pull this off. Even being in big data specifically, which is white hot right now in terms of hype, and selling something potentially valuable to businesses is no guarantee of anything other than a lot eyeballs that might or might not be in the mood to buy. It seems quite a glaring oversight to not mention that CSC is also one of the largest defense contractors in the world, certainly one of the largest contractors serving the NSA. It would certainly help contextualize CSC’s interest in Big Data. As a partner of Infochimps, we’re excited to see CSC’s endorsement of the innovative Big Data platform and management services that Infochimps has created, and their commitment to build on this foundation. We’re excited to continue the partnership with Infochimps and CSC, with us continuing to leverage our exclusive focus on delivering innovative Big Data solutions that quickly deliver business outcomes on top of the platform. Congratulations to CSC and Infochimps. Thanks Derrick! We, of course, like you too!!! Infochimps’ operating model is like any utility-based model (aka cloud). Under the new strategy, we never let deals consist of more than 20% “professional services”. In fact, we partner for the much needed professional services (see our ThinkBig Analytics announcement). The reason we are so attractive to CSC is because we already showed the power of the recurring revenue model, coupled with huge upside in professional services revenue. CSC is a services-based company with lots of consulting talent. Coupling their global footprint of delivery professionals with our Big Data utility-based business….and BOOM! The company showed its ability to close $1M+ deals with F100 companies. That was all the proof we needed to validate the CSC and Infochimps combination.